It has been known for over 100 years that portland cement mortar and concrete provide considerable protection to embedded ferrous materials against the corrosive effects of soil and water. The most common embedded ferrous material receiving this type of protection has been the steel bars in reinforced concrete. There are literally thousands of reinforced concrete bridges, buildings, parking garages, and other structures in service today. During the 1920s practical methods were developed to apply portland cement mortar linings to cast-iron and steel pipe in the manufacturing plant. In the 1930s a method for applying cement mortar linings to in-situ pipe was developed. Since that time, a significant amount of steel pipe, cast-iron pipe, and more recently, ductile iron pipe has been lined with portland cement mortar. Portland cement mortar linings have become the most common protective measure used for pipe in water and wastewater service. The concrete pressure pipe industry also took advantage of the protective properties of portland cement mortar and concrete during the development of reinforced concrete pressure pipe in the early 1900s and prestressed concrete pressure pipe in the early 1940s. Since the mid-1940s, portland cement mortar and concrete linings for concrete pressure pipe have proven highly successful, with almost all such pipe still remaining in active service. Portland cement mortar and concrete linings are very economical and provide superior corrosion protection. The formation of localized corrosion products scattered over the metal surface in the form of knob like mounds. The interior of unprotected ferrous metal water pipelines can be attacked and damaged by corrosion, which in turn can lead to the formation of leaks, scale, or tuberculation or a combination of these defects. Leaks obviously compromise the structural integrity of the pipeline, resulting in the need for repair or replacement. The build-up of corrosion products in the form of scale or tuberculation can seriously degrade the flow characteristics of the pipeline. If the condition becomes severe enough, repair or replacement is required. For this reason, it is imperative that some form of protection be provided to the ferrous metal surface. Portland cement mortar and concrete protective linings have been found to be a highly effective and economical solution. Table A summarizes the commonly used industry standards which apply to portland cement mortar and concrete linings for pipe. 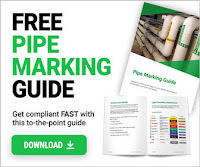 Table B lists American Water Works Association (AWWA) manuals that provide technical information and guidance for portland cement mortar- and concrete lined pipe. 1. They form a barrier coating which works to prevent physical damage to the metal surface. 2. They passivate the metal surface. Hydrated portland cement is highly alkaline, with a pH of about 12.5. At that pH, a passivating oxide film forms and is maintained on the metal surface, preventing corrosion. 3. Chemical reactions can occur in the mortar or concrete lining which can make infiltrating corrodants harmless, or they can form compounds that physically block further infiltration of corrodants. Table C lists the types of fluids for which cement mortar and concrete linings are suitable and recommended. Table C lists the types of fluids for which cement mortar and concrete linings are suitable and recommended.